Health researchers often talk about the social determinants of health. My role is to learn about and help others to understand the political determinants of health -the impact of politics, governance and policymaking on health outcomes. 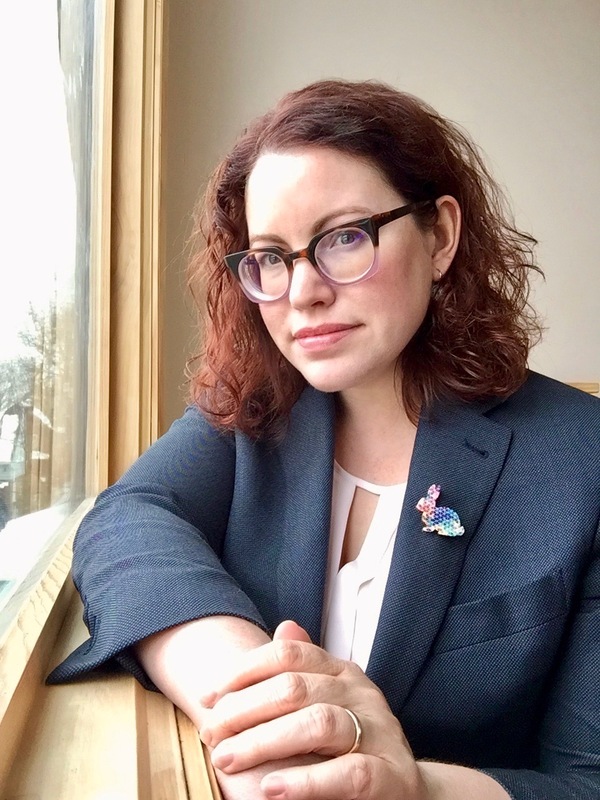 As a faculty member at the University of Michigan School of Public Health, I teach students from a wide range of professional and personal backgrounds about political systems and their relationships to personal and community health, health equity, and access to social justice. My research comes from seeking to understand the same questions, whether I am researching the impact of market rules and trade regulations on health or trying to understand why states choose the tobacco control policies that they do. You can find some examples of my work below. How do trade and investment rules impact health policy spaces? 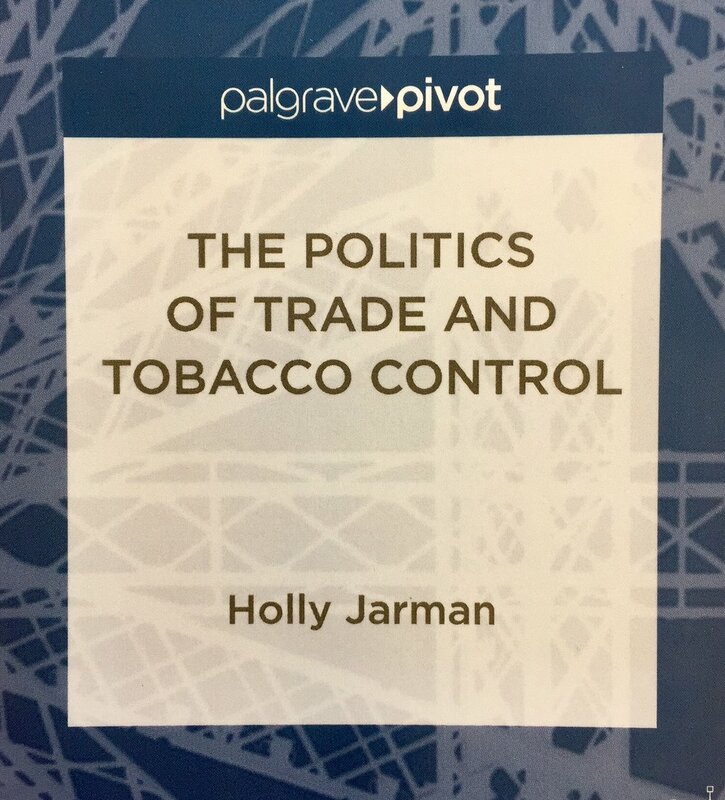 Analyzing challenges to policies enacted by Australia, Canada, the United States, the European Union and Uruguay, I argue that the global trading system has narrowed the scope of conflicts over tobacco control, to the advantage of tobacco firms. Holly Jarman, Martin McKee and Tamara K. Hervey. Forthcoming 2018. Trump’s populism, transatlantic trade and health: what ‘American Patients First’ has to do with Brexit and the NHS. The Lancet. Scott L. Greer and Holly Jarman. 2018. European Citizenship Rights and European Politics After the Crisis. Government and Opposition, 53(1): 76-103. Holly Jarman. 2017. Trade Policy Governance: What Health Policymakers and Advocates Need to Know. Health Policy, 121(11): 1105–1112. Nick Fahy, Tamara Hervey, Scott Greer, Holly Jarman, David Stuckler, Mike Galsworthy and Martin McKee. 2017. ‘How will Brexit affect health and health services in the UK? Evaluating three possible scenarios against the WHO health system building blocks’, The Lancet, 390(10107): 2110–2118. I discuss the implications of Brexit for the pharmaceutical industry in BBC Radio 4's 'Brexit: A Guide for the Perplexed'. Holly Jarman and Meri Koivusalo. 2017. ‘Trade and Health in the European Union’, in Tamara Hervey, (eds.) Research Handbook on European Union Health Law and Policy, Edward Elgar. Scott L. Greer, Holly Jarman and Rita Baeten. 2016. The New Political Economy of Healthcare in the European Union: The Impact of Fiscal Governance. International Journal of Health Services, 46(2) 262-282. Holly Jarman. 2014. Healthcare, Borders, and Boundaries: Crossborder Health Markets and the Entrepreneurial State, Policy and Society, 33(1): 1-11. Jarman, Holly. 2013. Attack on Australia: Tobacco Industry Challenges to Plain Packaging, Journal of Public Health Policy, 34(3): 375-387. Jarman, Holly, Judith Schmidt, and Daniel Rubin. 2012. When Trade Law Meets Public Health Evidence: The WTO and Clove Cigarettes. BMJ Tobacco Control, 21: 596-598. An introduction to the public health system and the key policy issues confronting public health practitioners. Students learn about the range of possible public health policy interventions, the ideological and evidentiary motivations for introducing them, and the impact of the political, bureaucratic and social environments in which policy decisions are made on health outcomes. A more advanced course designed to encourage students to become policy advocates. Through this course, students can cultivate an understanding of the public policy process in theory and practice, learning how the policy process should work, but also how it actually works, as well as ways to bring about policy change. This course introduces students to a range of qualitative methods suitable for conducting health policy research. Students will discuss the place of qualitative methods and data within the overarching epistemology of health policy, gaining a theoretical and practical understanding of how knowledge is generated from qualitative sources. My students self-organized and started a project to gain advocacy experience in our state capitol. I'm just the instructor. Learn more here. The Institute for Health Policy Innovation at the University of Michigan (IHPI) brings health researchers together from across the university and supports them in conducting impactful, interdisciplinary research. I support IHPI's education and training initiatives and help to shape development opportunities for early career faculty. The Michigan Public Health Institute (MPHI) tackles health problems at the community level through collaboration, servant leadership and the application of evidence-based research. I am proud to serve as a member of both the MPHI Board of Directors and its Executive Board. The Health Policy Students Association at the University of Michigan School of Public Health is a student-governed organization that supports educational and professional development activities for all Michigan students with an interest in health policy.